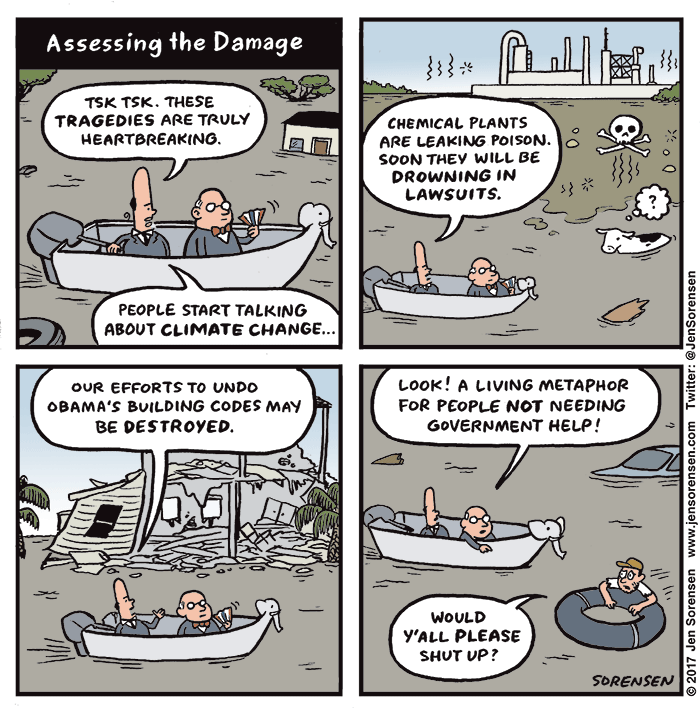 Cartoonist Jen Sorensen tags along with two imaginary — but highly symbolic — GOP bureaucrats as they survey the post-Harvey damage in Houston. 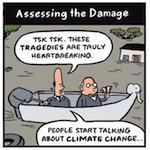 Yes, talking about climate change should be evidenced now. Yet, the underlying motivations in accessing the damage is being ruled by something else: Neptune? Redemption is another word associated with Neptune, but even that they would argue is exactly what they’re doing.